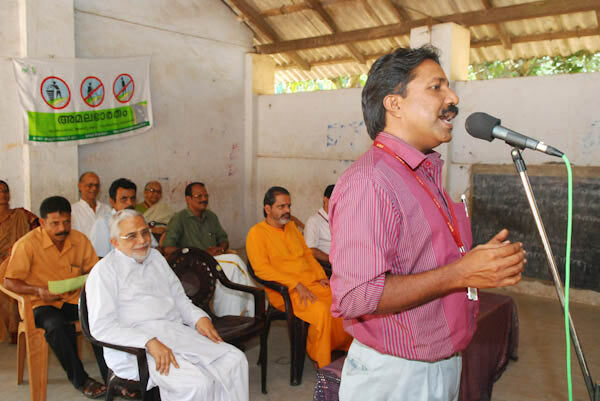 The infectious enthusiasm and joy were there for all to see. 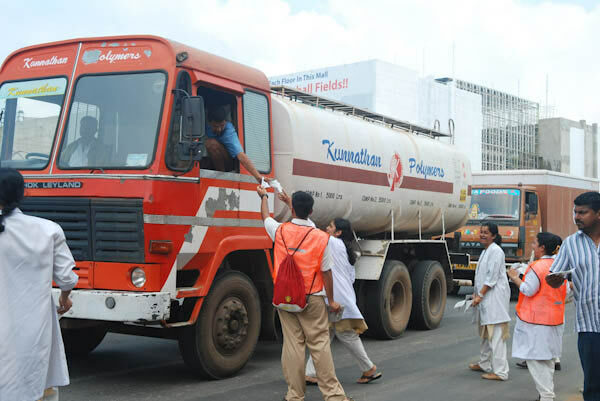 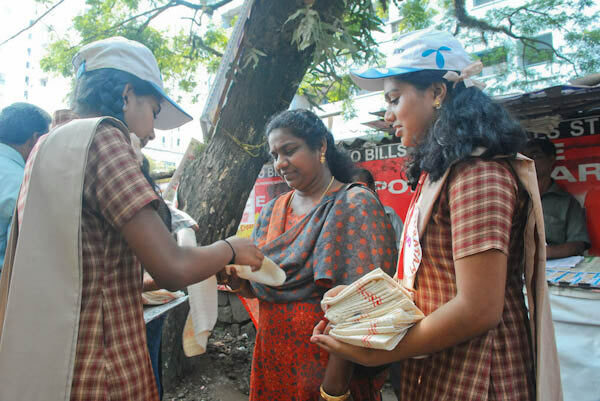 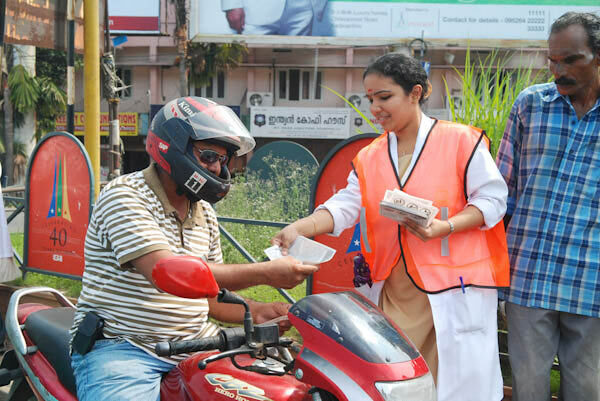 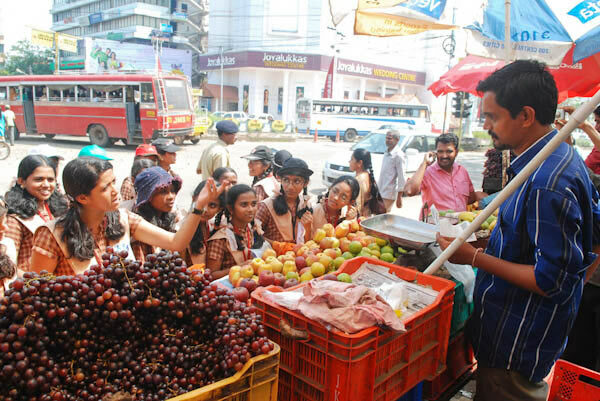 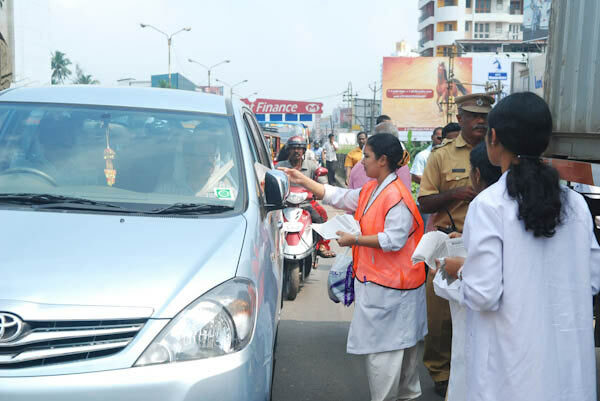 Students of Amrita University and Amrita Vidyalayam, Ernakulam, took to streets, invaded the buses and all sorts of vehicles, convinced the roadside vendors, spreading message of Amala Bharatam. 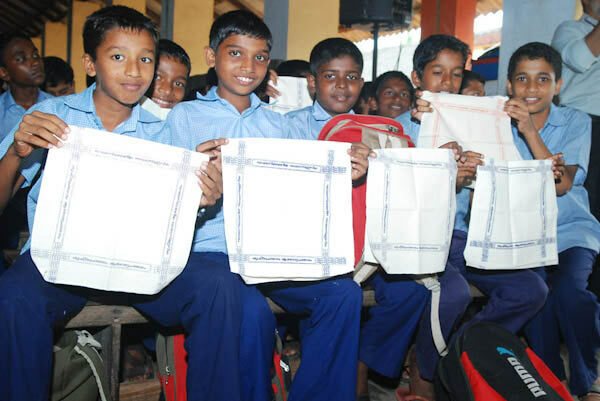 With loving dedication lit on their faces, distributing the re-usable hand kerchiefs and educating, motivating all how to use it “to be clean and healthy.” None could resist the charm of this brigade, be it young or old, or two wheelers, three wheelers or trucks. 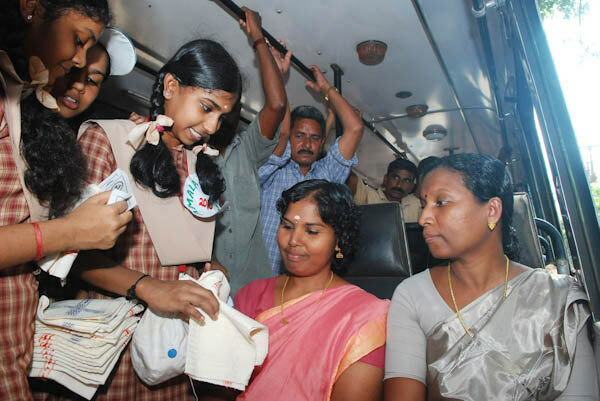 Amma’s disciples and the youngsters visited Govt. 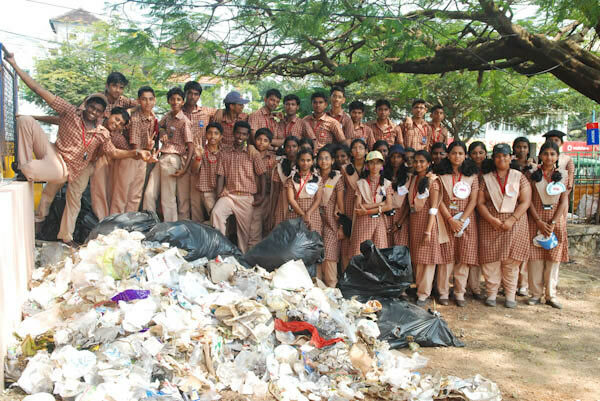 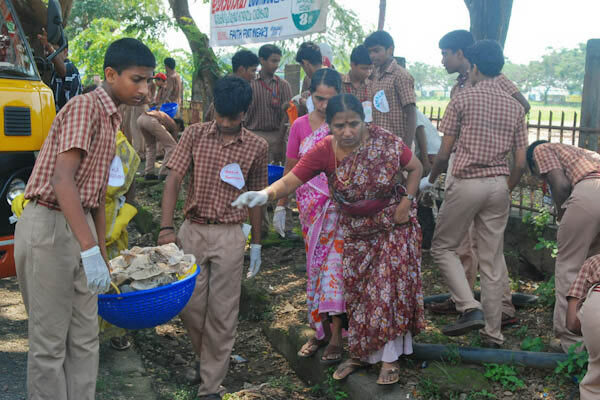 schools and gave them awareness class and hankies educating them how important to clean up the surroundings. 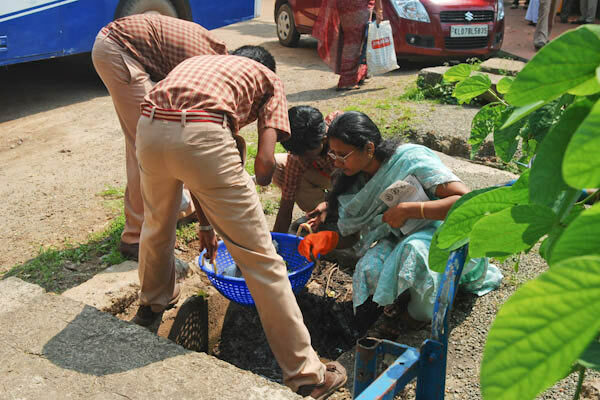 Fortifying all this was a successful cleanup drive that followed. 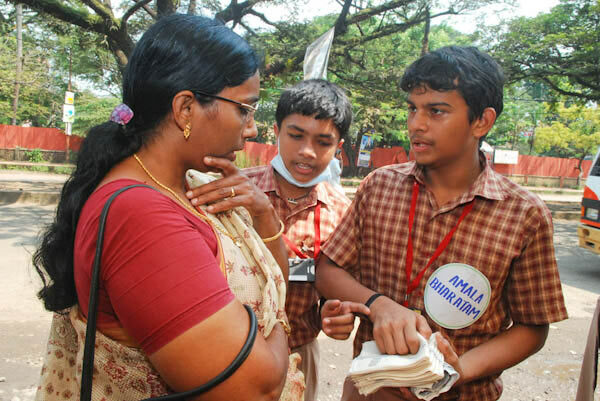 The point was proved in practice!